1000D cordura with 2 sides & 1 front compartment along with shoulder strap. 1 main compartment has 2 partitions with inside small pockets. Size 28 X 12 X 12. Can produce with any size as per customer choice. 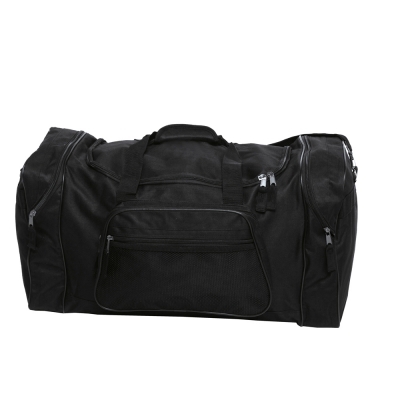 Perfect for travelers & sports players.